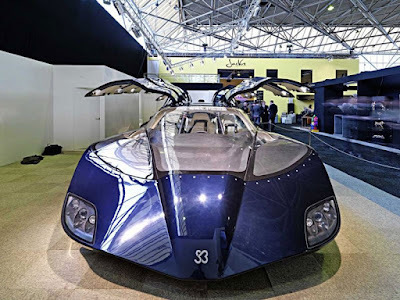 Back in 2010, the Superbus project is an ambitious attempt to wiggle the personal transportation industry. This new concept in sustainable mobility consists of a new electric vehicles which runs at the speed of 250 km/h (155 mph), new dedicated infrastructure (such as a dedicated lane on highways), and new logistics via a central routing optimization system. While hard to pinpoint, some have suggested the Superbus is somewhere between a regular bus and a train. It’s advantage over the former is that it’s capable of vastly higher speeds and greater flexibility, not confined to a rigid schedule or route. As for the latter, infrastructure and implementation is cheaper and does not require the need for changeovers from target to destination. 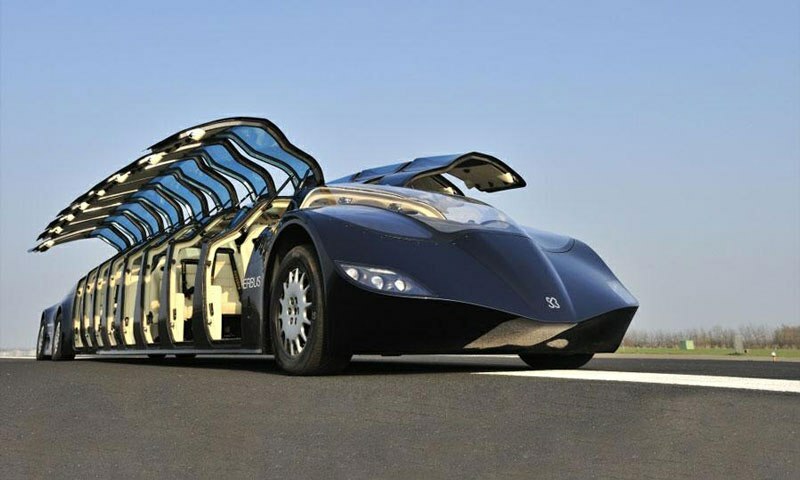 The Superbus’s promise of demand-dependent-door-to-door transportation is a feature neither bus or train has. Superbus made of carbon fiber and has an electric motor (battery powered) with a length of 15 meters and can accommodate 23 passengers. To improve the comfort and individuality, Superbus has eight gull-wing doors on each side. 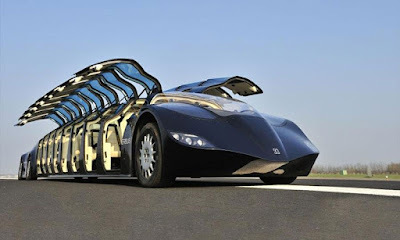 If we look, Superbus like a limousine, but more longer. 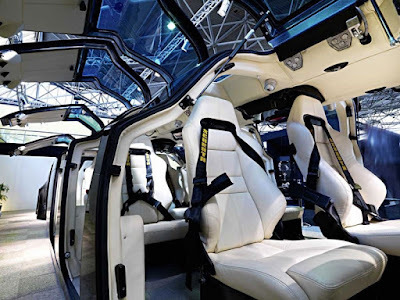 Another advantages of Superbus compared with regular bus is no less important is, no standing passengers.